Quality product from Elliot & Green housewares. 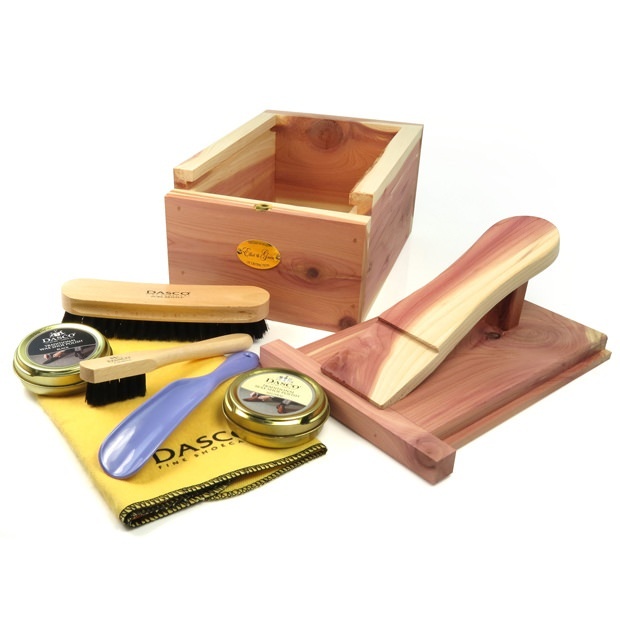 The shoe shine box includes a removable lid for better storage of shoe care products. Footrest at the top of the box for easy buffing. The shoe brush care kit contains: 1 neutral and 1 black shoe polish, 2 shoe brushes, polishing cloth & shoehorn. New and boxed. Lovely idea for a gift. Size: Length x Width x Height 25.5cm x 18cm x 20cm approx.